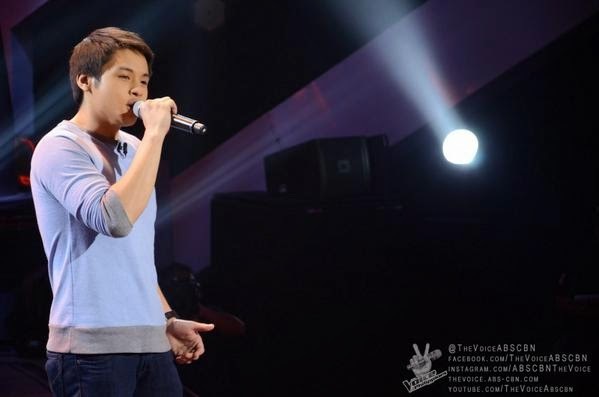 Manila, Philippines - Mark Cando performed Oleta Adams hit "Get Here" during the continuation of Blind Auditions of ABS-CBN's best vocal competition 'The Voice of the Philippines Season 2 aired on Sunday, November 2, 2014. The 27-year old artist from Quezon City impressed Coach apl.de.ap who was the sole judge to turn his red chair. Cando admitted that he has a crush on "Voice PH" host Toni Gonzaga. Coach Apl taught him how to woo the host with some killer pick-up lines. "Buti pasok ka na sa Team Apl… Pero ikaw apple of my eye," Toni said to Mark. The Sunday's episode of 'The Voice of the Philippines' Season 2 dominates online conversations with '#VoicePH2' and 'mark Cando' among the trending topics.